Hey guys, Alexis here. Since Amy joined the studio at the beginning of this year, she has very graciously cut out close to a zillion samples for us. We are so lucky to have her around because cutting out pattern pieces can quickly become our least favourite thing to do when we are in a hurry to start sewing during a pattern’s development, or when we have a photoshoot deadline looming. We had a big chuckle the other day when she was cutting out yet another Fiona Sundress for us and was marking the back skirt darts. 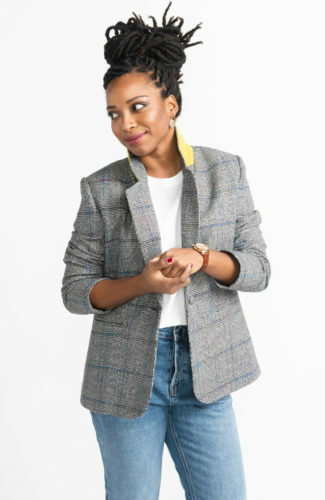 She abruptly stopped what she was doing and shouted “Do any of our patterns NOT have darts? !” Rest assured, Amy. 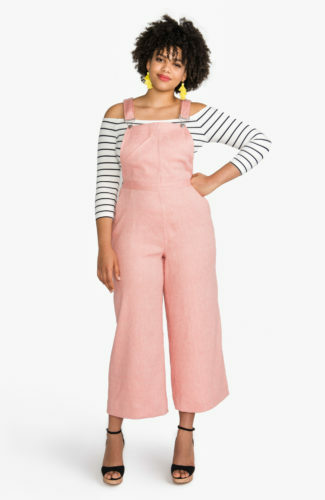 We are not drafting patterns (like our Sasha Trousers & Jenny Overalls) with darts with the sole purpose of giving you yet another dart or two to notch and mark. They really are this common (and we love you)! The wee but mighty dart is surprisingly well-documented for a simple element that many of us might find intuitive to sew. 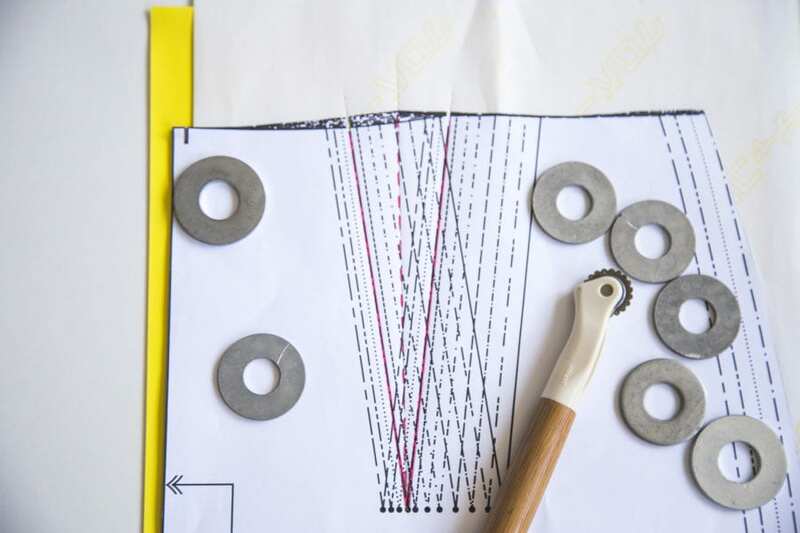 We thumbed the pages of our studio’s extensive library of sewing manuals and rounded up our favourite tips and tricks for sewing darts for you. 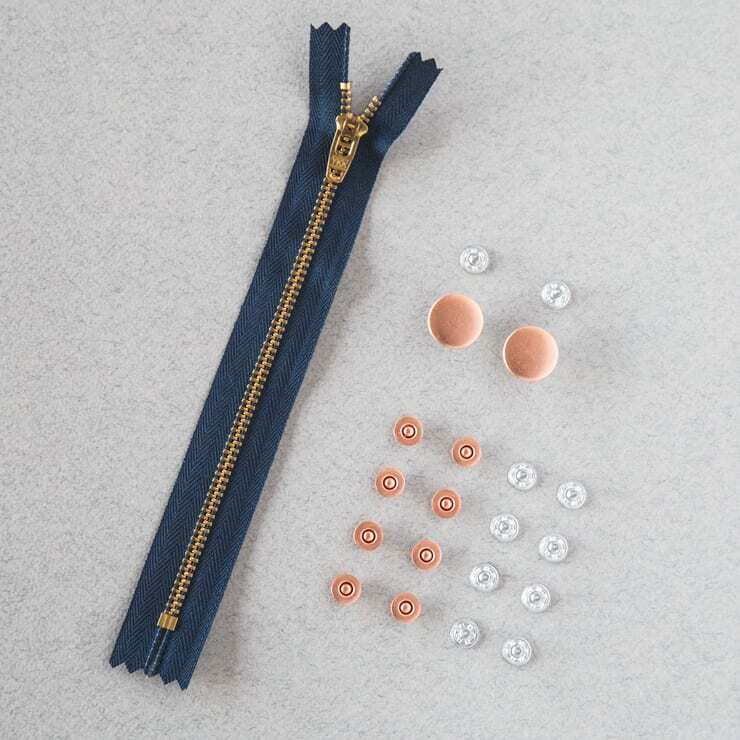 Sewing geek alert, here it is… everything you need to know, already know, or may even be surprised to know about sewing darts! 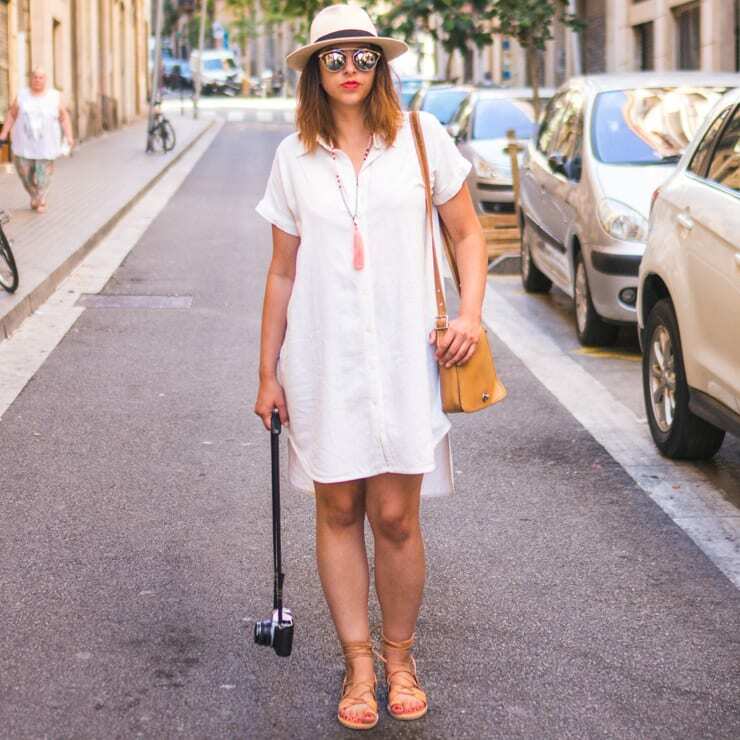 Quite simply, a dart is just a fold of fabric stitched together with the purpose to add structure to fabric so it can be shaped to your body’s contour. 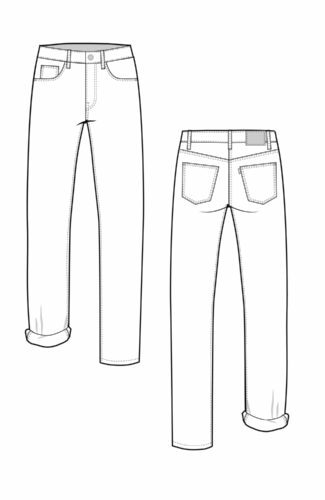 You will most commonly find darts at the bust, back, waist or hips, but you may also find them at the elbow or neck of a garment. A finished dart should point to the fullest part (or apex) of the body. 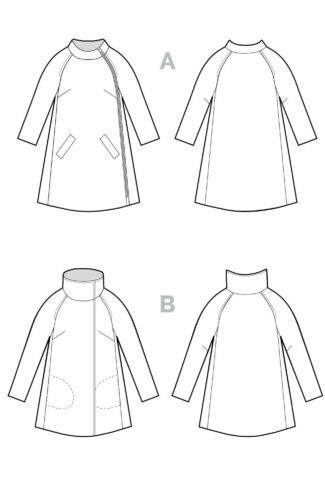 This is where making a muslin or doing a quick baste-fitting is essential. 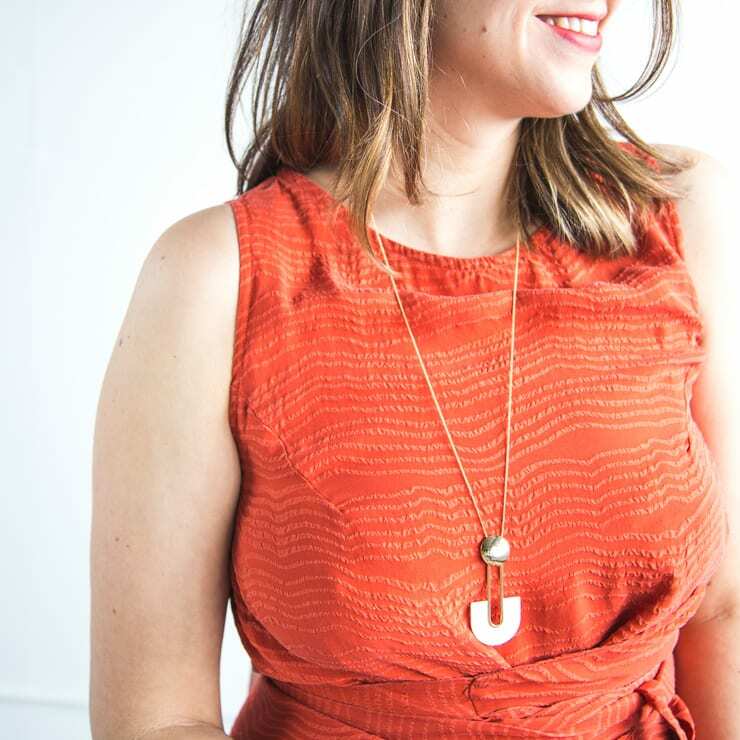 As Heather described in her detailed fitting post for our latest Fiona Sundress pattern, you may need to adjust the width or length of the darts so your Fiona will frame your assets *ahem* in the best possible way. There are a few kinds of darts, including contoured darts (which are diamond-shaped, tapering in two opposite directions) and French darts (which are often curved), but we will cover your good ol’ regular dart here, as there is much to discuss! 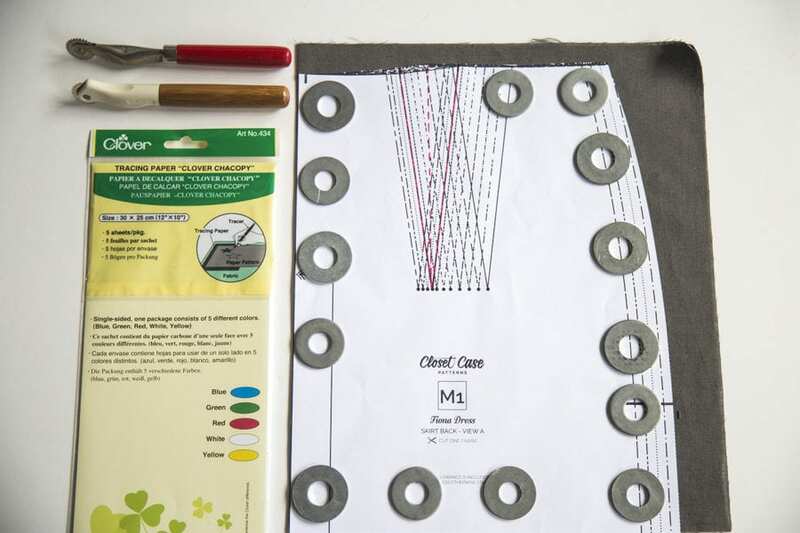 The first step to ensuring you’ll have two matching and perfectly shaped darts is properly marking them while you are cutting out your pattern pieces so everything is ready when you start sewing. We’ll show you a few ways to mark your darts. 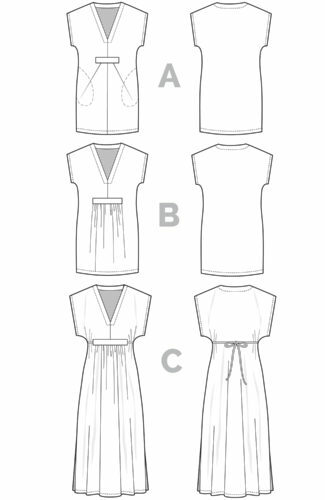 First at bat is the dressmaker’s tracing paper and tracing wheel method. We have the legs of the dart we are going to mark traced in red, and have drawn in the center foldline of the dark with a dotted line for visibility. 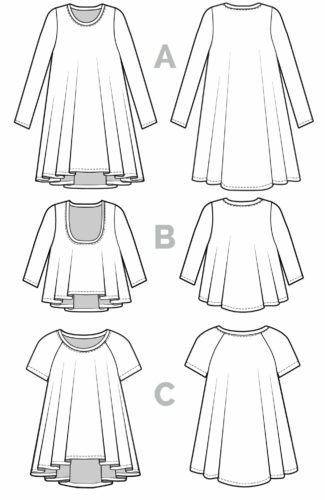 Dressmaker’s tracing paper comes in a variety of colours, so you’ll want to test a scrap piece of fabric to see which colour shows up the best. 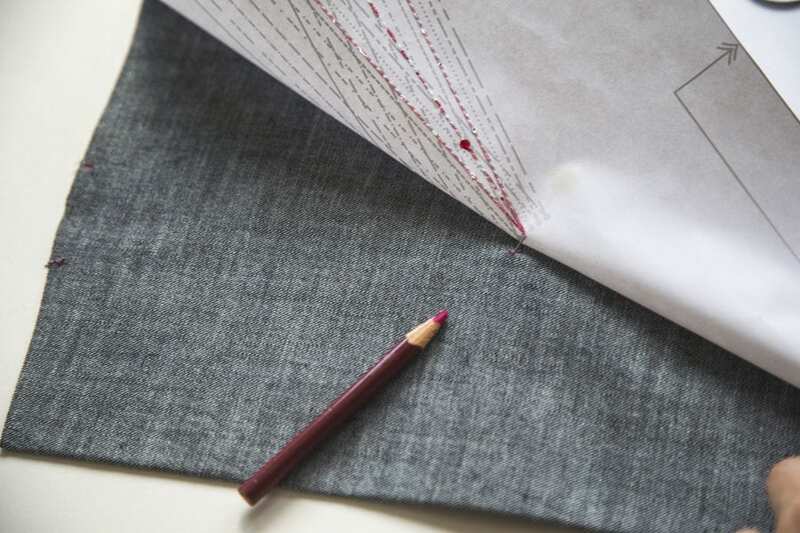 It’s important to note that sometimes the markings do not always wash out depending on the fabric and the tracing paper, so you will want to mark the wrong side of your fabric in case this happens. We prefer using a tracing wheel with a rounded edge (like the bamboo-handled one pictured below) instead of a sharp pointed edge. 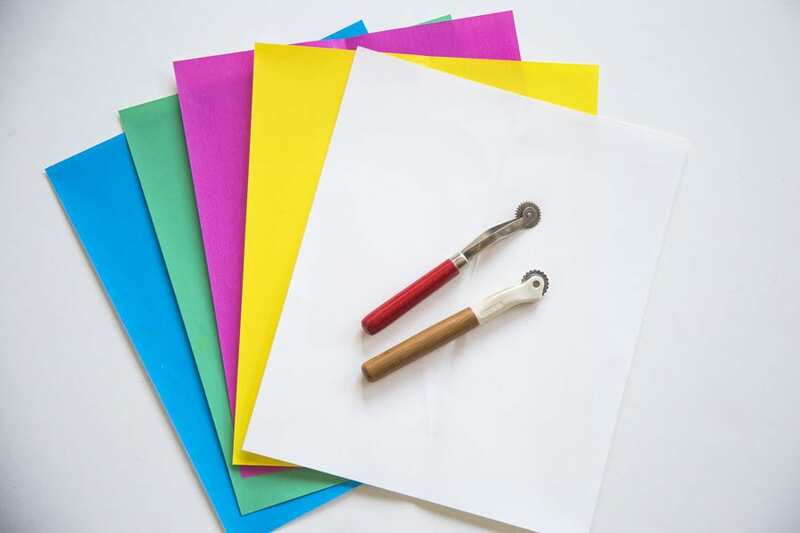 It will avoid destroying your paper pattern pieces so they can be used again, and will also prevent damage to your fabric. 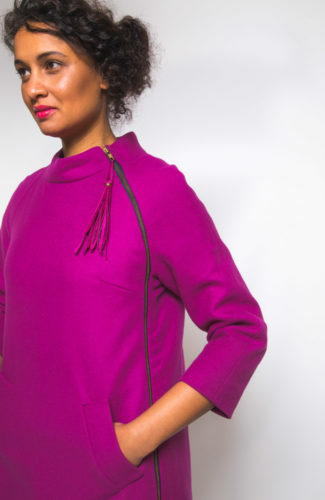 The Fiona skirt back is cut on the fold. After cutting the perimeter of the pattern piece, it’s time to mark! 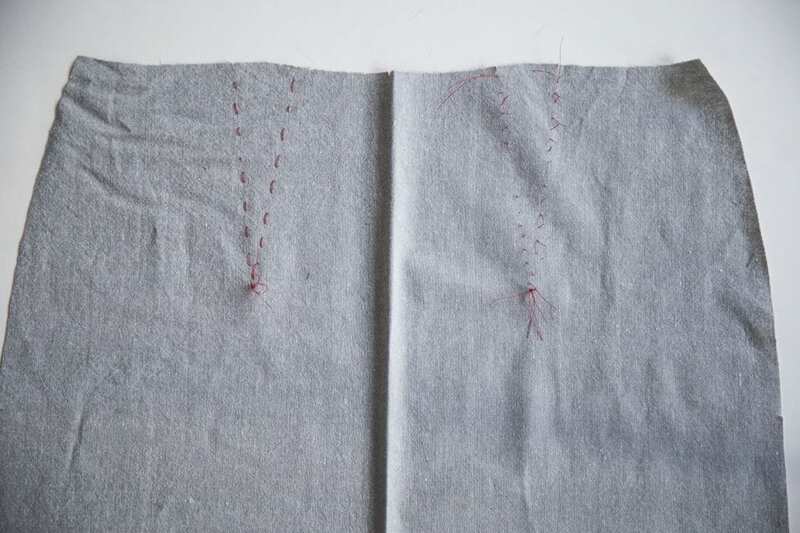 To mark both right and left back darts at the same time, we have sandwiched the folded piece of fabric between two pieces of tracing paper, and have carefully positioned our pattern on top, weighted down to avoid shifting. Using the tracing wheel, draw along each leg of the dart. 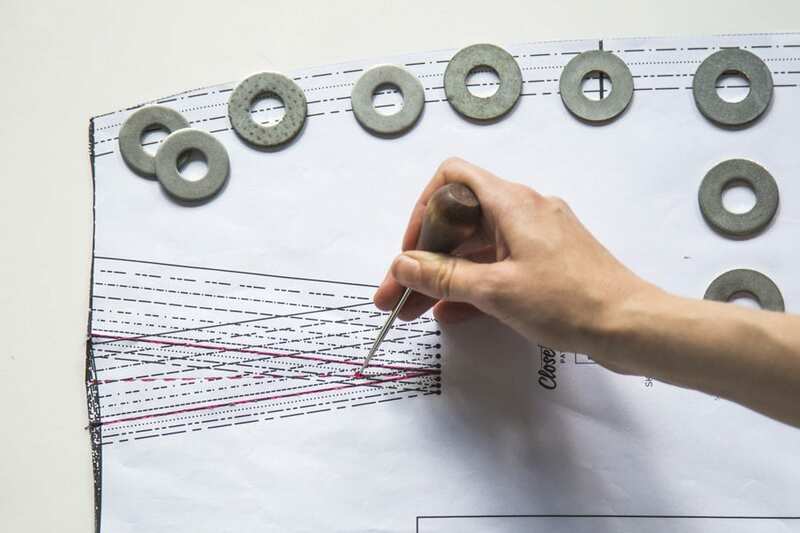 You can use a ruler to help make sure you are drawing a straight line, or you can freehand. 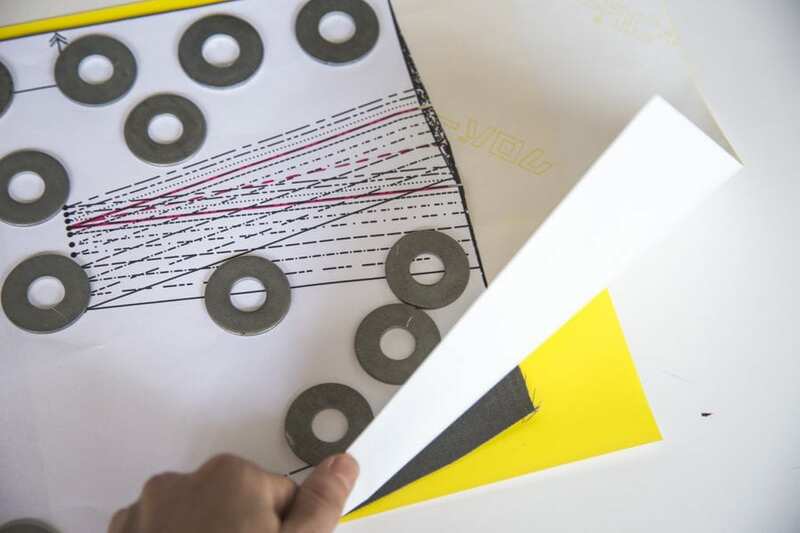 If you don’t have a tracing wheel, a dull pointed object (like a knitting needle) can also work. Once you’ve finished tracing the dart, you can carefully remove the pattern and check to see the lines are visible. Et voila, a precisely marked pair of darts in seconds! We traced in the center of the dart so we have a guideline to follow when we go to fold and pin the dart together. 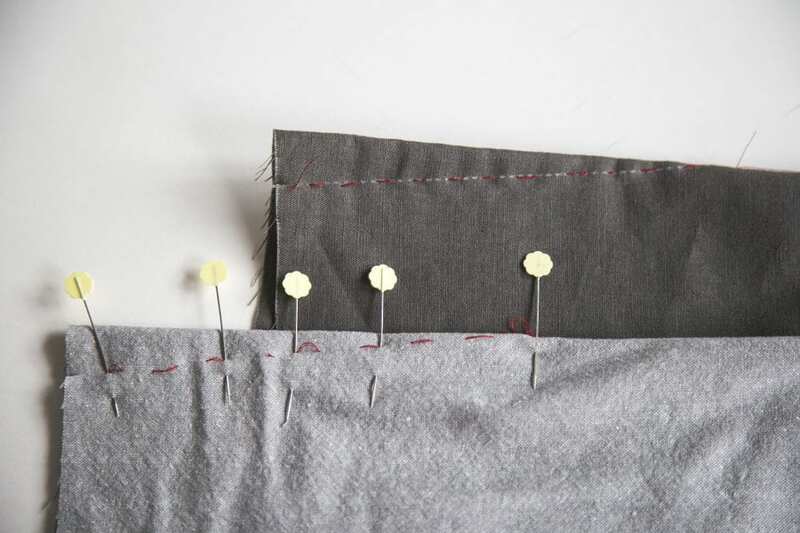 If you love hand-sewing, you may prefer trying your hand at tailor tacks and trace basting. Thread a needle with a thread colour that contrasts with your fabric. 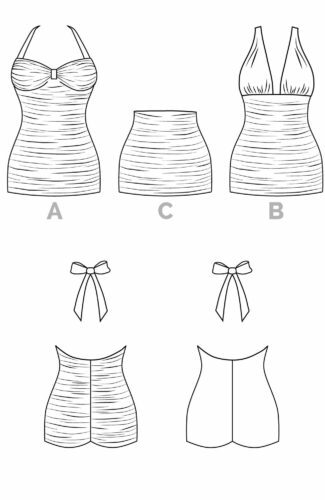 Pin your pattern to your fabric or use pattern weights to avoid shifting. 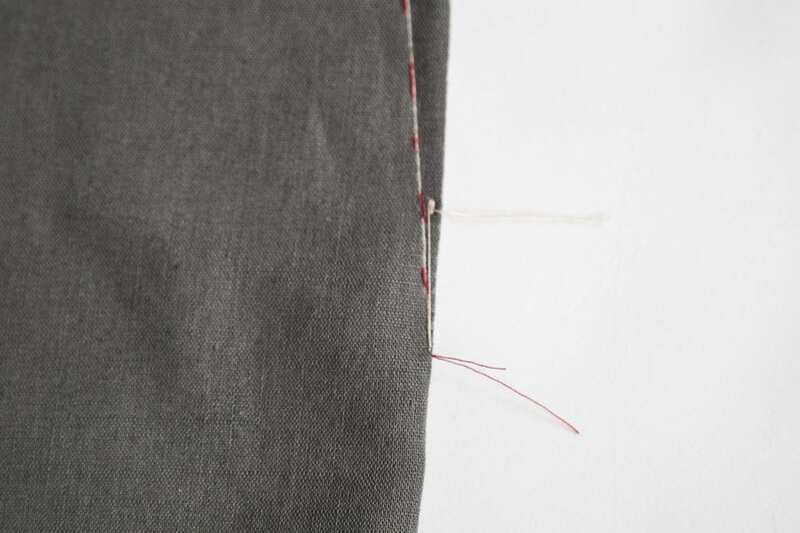 Hand-sew a wide basting stitch along each leg of the dart, ensuring a long loop of thread is left after each stitch on both the front and back of your work. 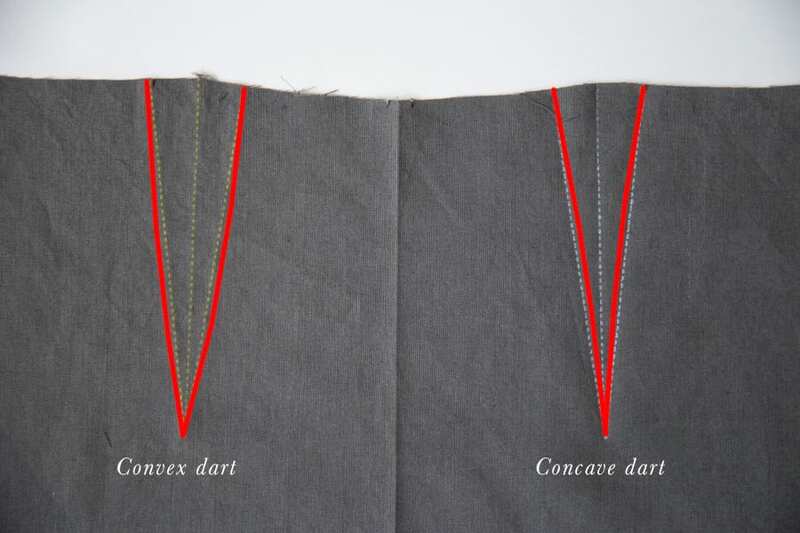 To mark the apex of the dart, sew a tailor tack by repeating the same stitch in the same position, leaving a loop of thread after each stitch. This is what the back of your work should look like after completing your thread basting, before removing and unfolding your pattern piece. From the front of your work, carefully snip each loop of thread. 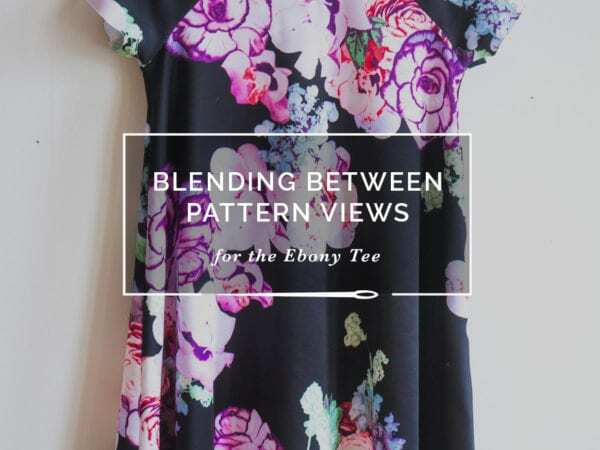 Remove the pattern piece to reveal the fabric. 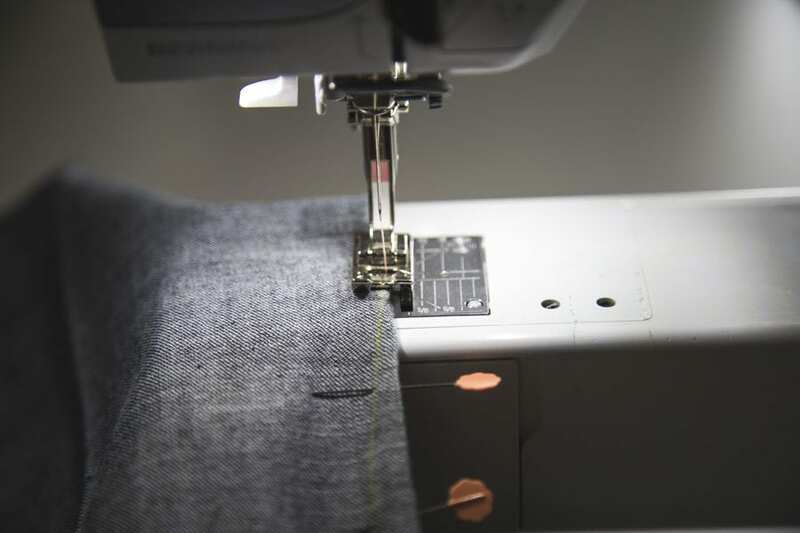 If your pattern piece was cut on the fold, gently unfold the fabric and snip the threads so both top and bottom darts are outlined with thread. 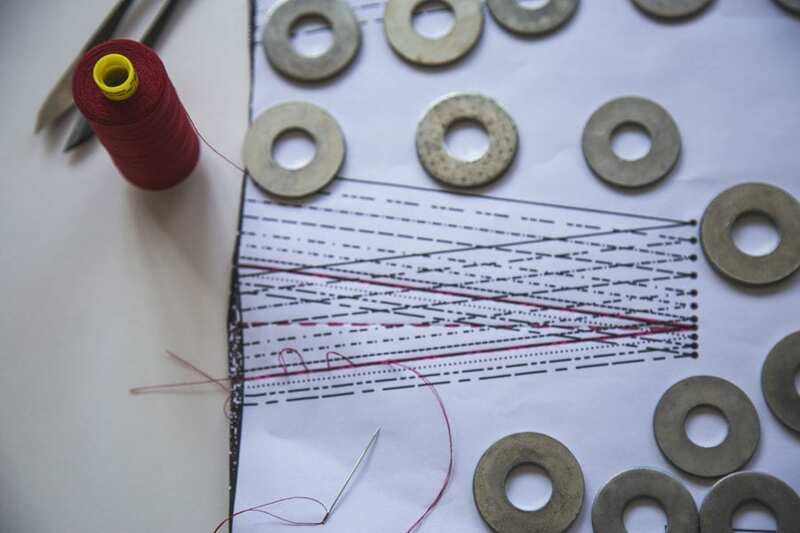 It takes a little more time and patience to mark darts with hand-stitched tailor’s tacks, but it is satisfying! 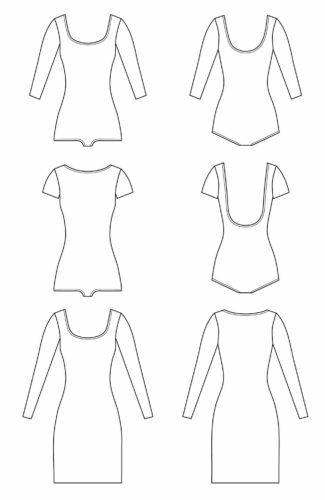 This is great because it doesn’t matter if you mark right or wrong side of your fabric with this method, it is all the same! Most of the time we are in a hurry to finish cutting and marking so we can get straight to sewing, so we use the fast and dirty pin method. Snip a notch into the fabric at the end of each dart leg. Prick a pin through the apex of the dart and carefully pull the pattern piece up to reveal the fabric underneath. Mark the apex of the dart with your marking tool. You can trace a line connecting the notches of the dart legs to the dart apex with a removable marking tool and a ruler. Friendly reminder: not all marking tools are created equally! We have learned the hard way that our favourite chaco pens do not always wash out of our samples, so a subtle colour is usually the best choice. You also want to make sure your markings will last until you are ready to sew the dart. The fading washout pens often fade too quickly, so you may be scrambling to find your pattern piece to mark the darts a second time if this happens! 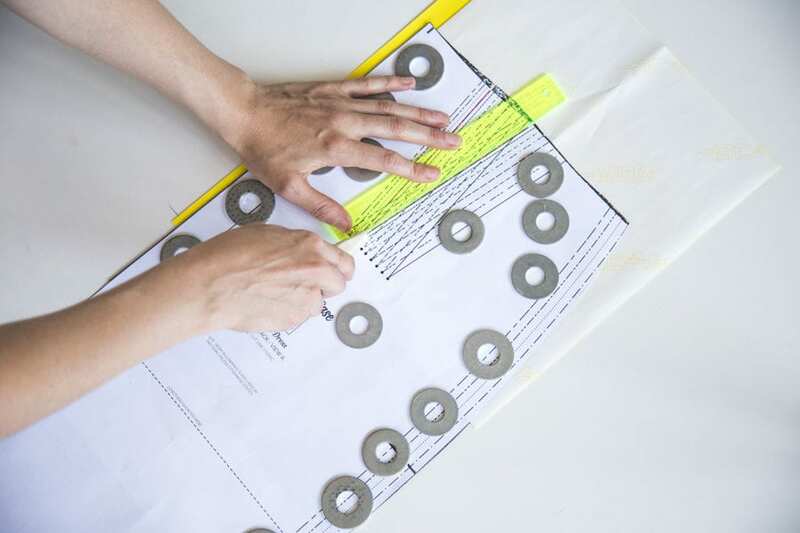 In actual commercial garment production settings, darts are marked with a hole punch or awl. 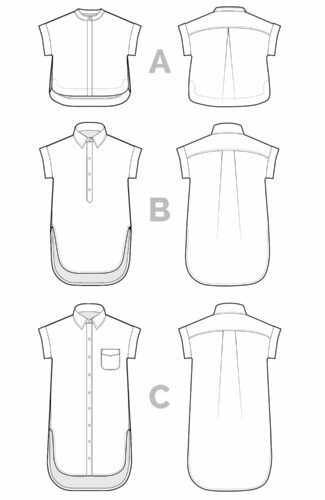 The pattern’s dart apex will be positioned 3/8″ (1cm) away from the end of where the dart will be sewn. The person responsible for sewing the darts is so experienced, they will know how to fold and sew the dart past the hole punched in the center of the dart without even thinking about it! 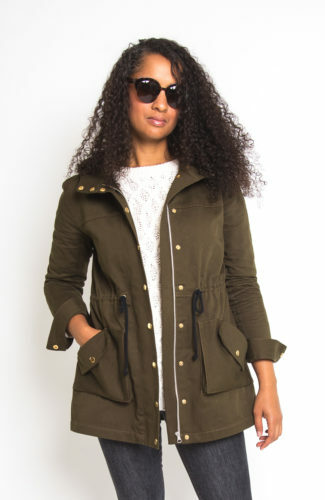 The hole is within the dart when it is folded, sewn and pressed, so it doesn’t matter. 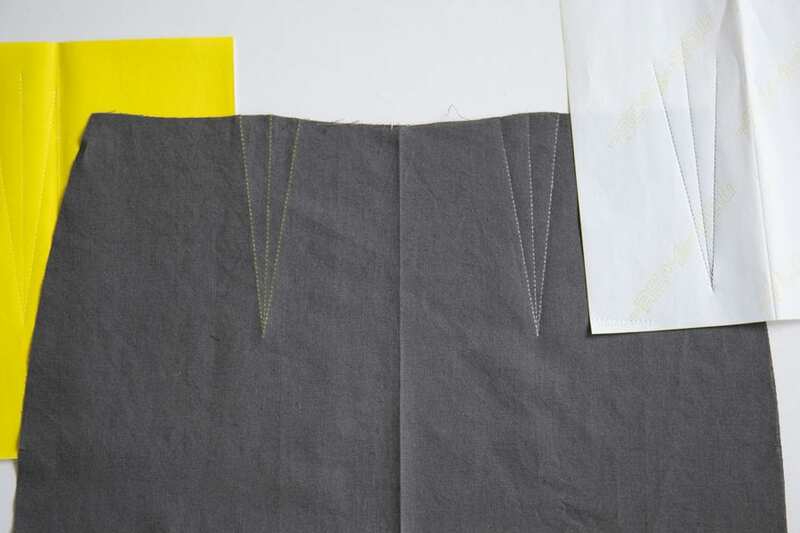 To prepare the dart for sewing, fold the dart along its center so the legs are aligned. You can pin or hand baste the dart in place. Generally, you will start sewing from the widest part of the dart to the apex. You may backstitch at the beginning of the stitch line to secure, but it is not advised to backstitch at the apex or end of the dart. 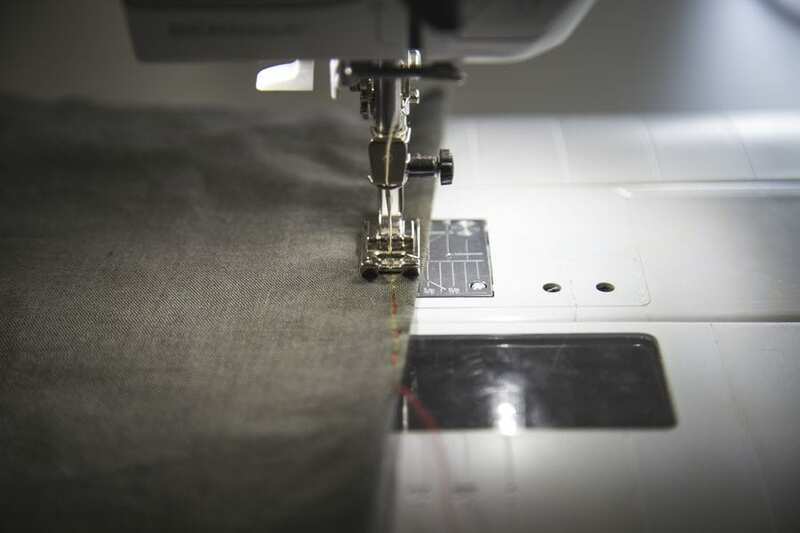 There are a couple of reasons for this- it can be difficult to backstitch precisely over the same stitch line, depending on your machine. More importantly, you want to avoid adding any bulk at this point. When you press the dart, the finished result should appear almost seamless. 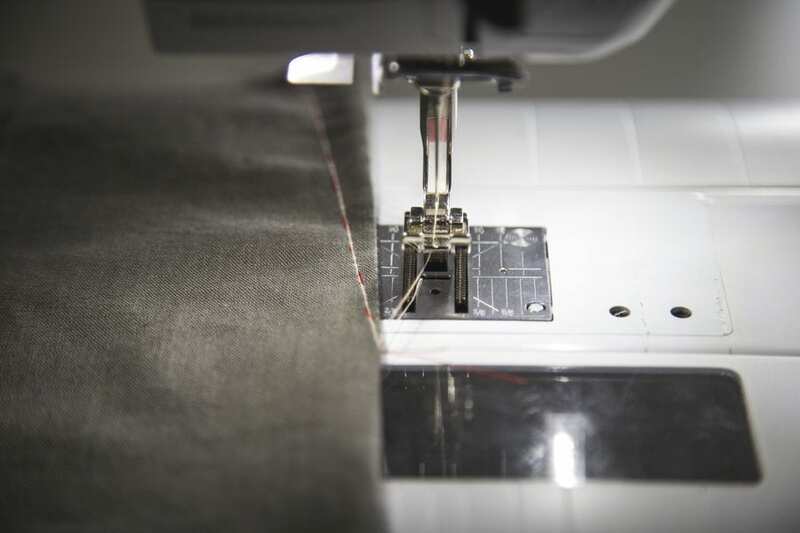 As an alternative, when you approach the dart apex, shortening your stitch length will make the stitching secure. 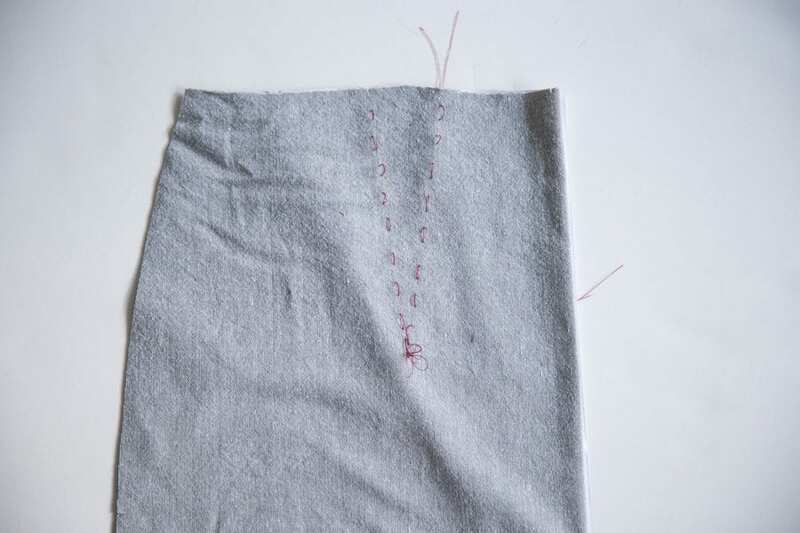 Before removing your work, leave a long thread tail. If you basted the dart in place, you may remove the basting stitches. Tie a double knot with the thread tails to secure the end of the dart. Do not pull the knot to tightly, or the fabric may pucker. If you tie the knot around the end of a pin, it will ensure the knot is close enough to the dart apex without being too tight. Trim the thread ends. 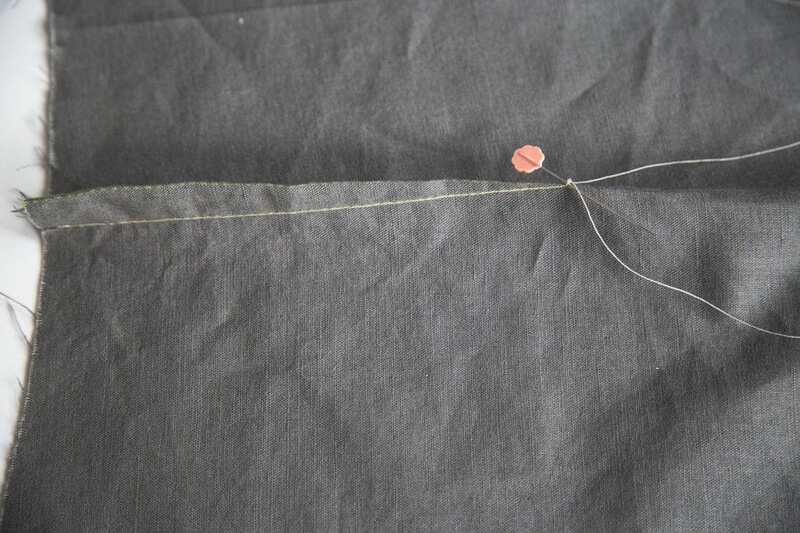 If you prefer to avoid tying off the dart threads, we are excited to show you the continuous thread method! This method avoids any thread tails at the beginning of a stitch line, so you will actually sew the dart backwards, starting from the apex. You will need to re-thread your machine, so pay close attention! 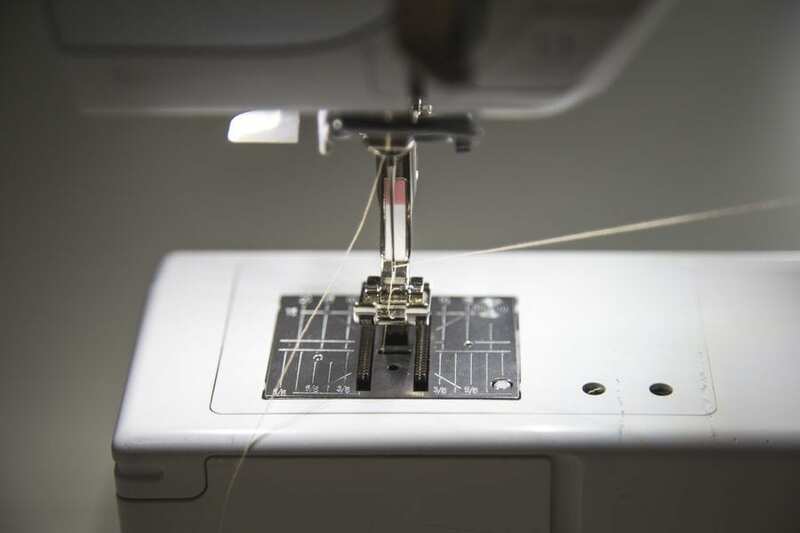 To begin, thread your sewing machine normally, but do not thread the needle with the upper thread. Pull the bobbin thread up and through the back of the needle eye to the front, so the needle is threaded “backwards” with the bobbin thread. 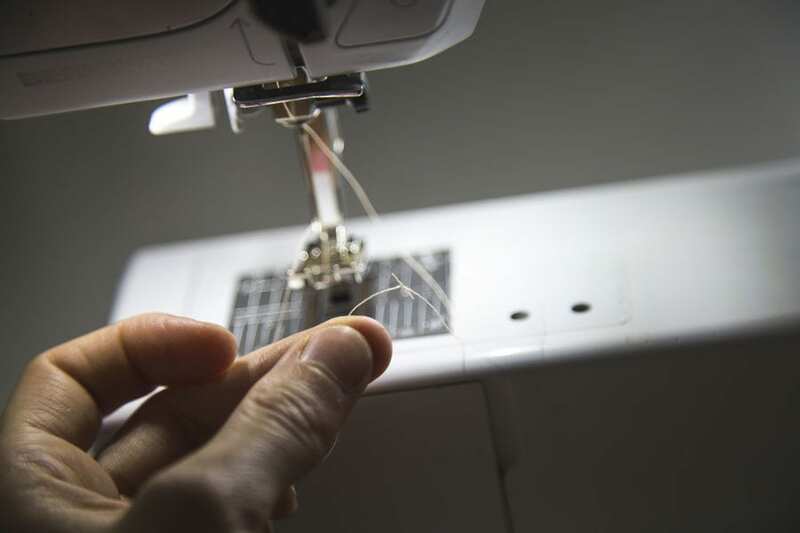 Tie the bobbin thread to the upper needle thread with a tight, small knot. Pull on the bobbin thread so a long length of thread is unwound from the bobbin. The length of thread needs to be long enough to sew the length of the dart, so don’t be afraid to pull out a little extra. Rewind the upper spool of thread so the needle thread is rewound and the bobbin thread is threaded through the thread guides. 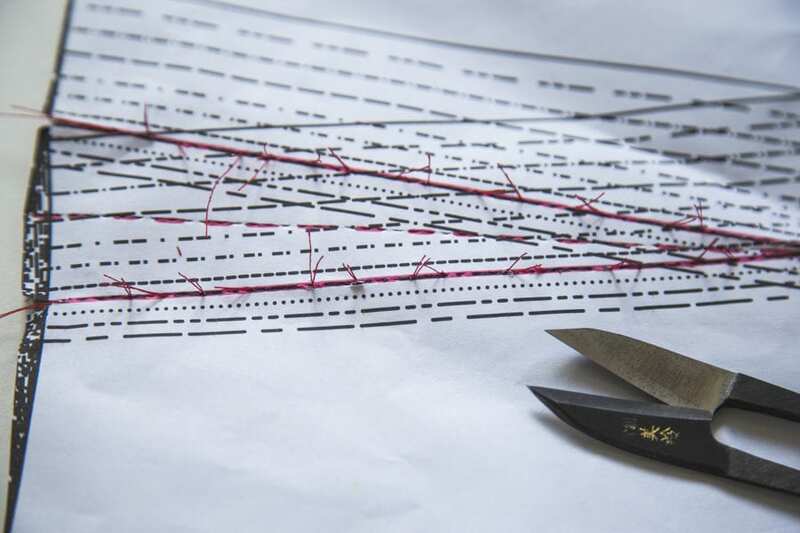 Starting from the apex of the dart, begin stitching without backstitching. The beginning of the stitch line will be secure because both top and bottom threads are one, and not separate. (yes, it is magical!) Go slowly, as you don’t want the knot you made to attach the bobbin and needle threads to come apart. When you reach the wide part of the dart, backstitch to secure. Remember to re-thread your machine normally if you are continuing your project. 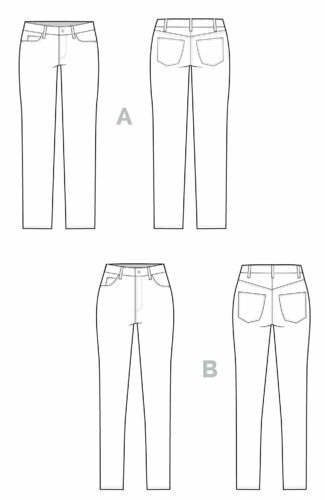 If you need to sew a second continuous thread dart, you will also need to re-thread the machine using the same steps outlined above. Another alternative to tying off dart threads is to machine tack the threads to the dart. When you are sewing the dart normally, shorten the stitch length as you approach the apex of the dart. When you reach the end, lift your needle and presser foot and pull your work towards you so you have 0.5″-1″ of extra thread. Do not cut the thread tail. Reposition your dart underneath the presser foot and drop your needle inside the stitch line on the folded dart. 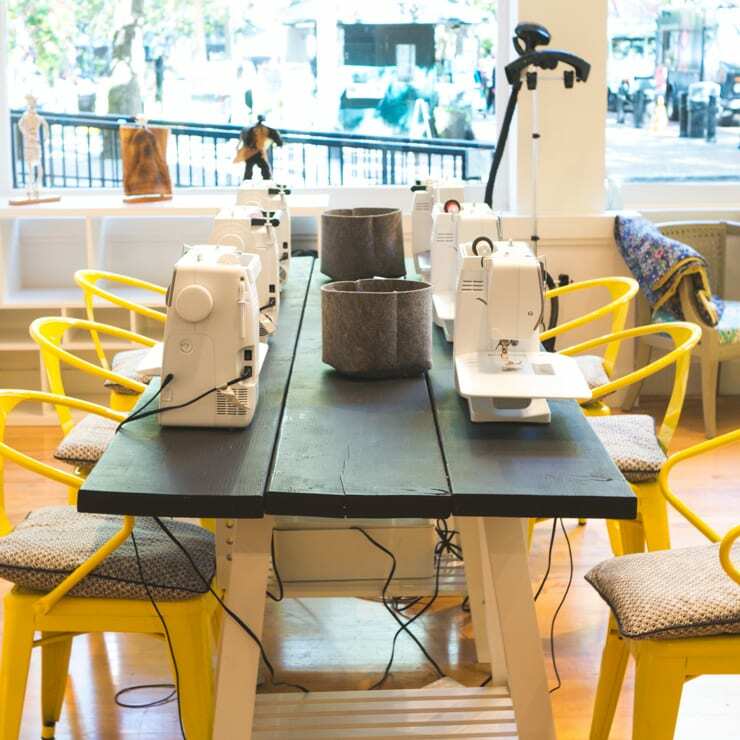 Drop your needle and sew a stitch or two back and forth to secure before removing your work and trimming your threads. A machine tacked dart avoids any knots. The tacked stitches will not be visible from the outside of the garment and will be almost invisible when the dart is pressed to one side. Depending on your figure, you might find that sewing a straight line from dart notch to apex does not provide enough shaping for you. 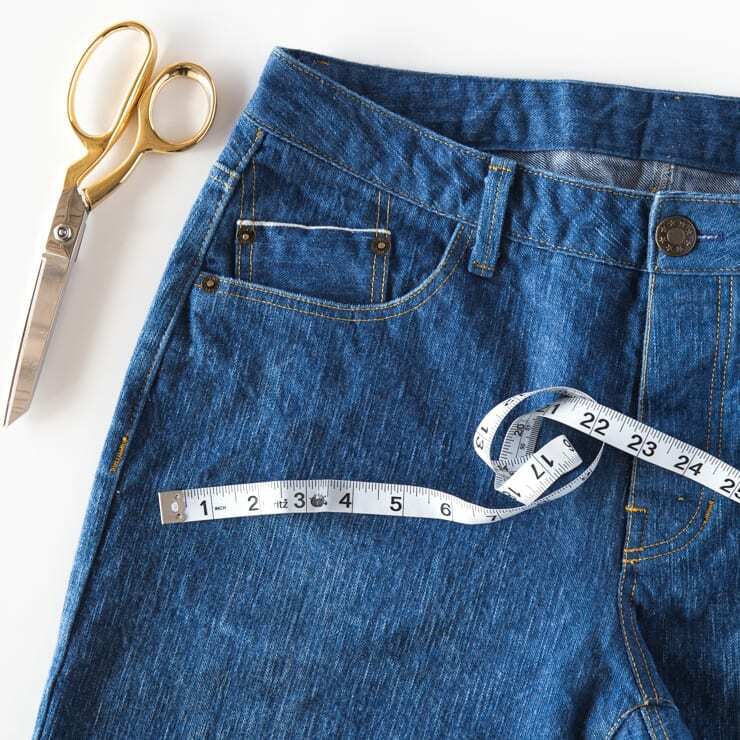 If that’s the case, it is totally kosher to sew the dart leg as a curved line; the shape of the curve will contour to your body in a different way than a straight dart. 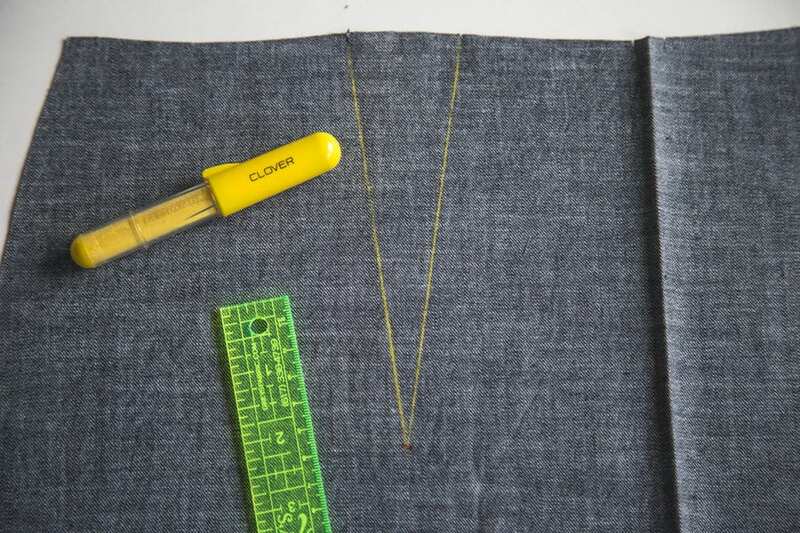 Sewing a convex dart that curves slightly outward (about 1/8″ wider than the regular dart) is great for a sway back; this slightly wider dart will conform more closely to the curve of the back. 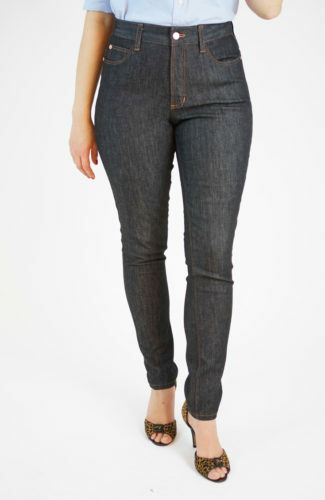 A concave dart that curves in slighlt (again, no more than 1/8″) will give you a little more room, which is excellent if you have a high hip or a full tummy. 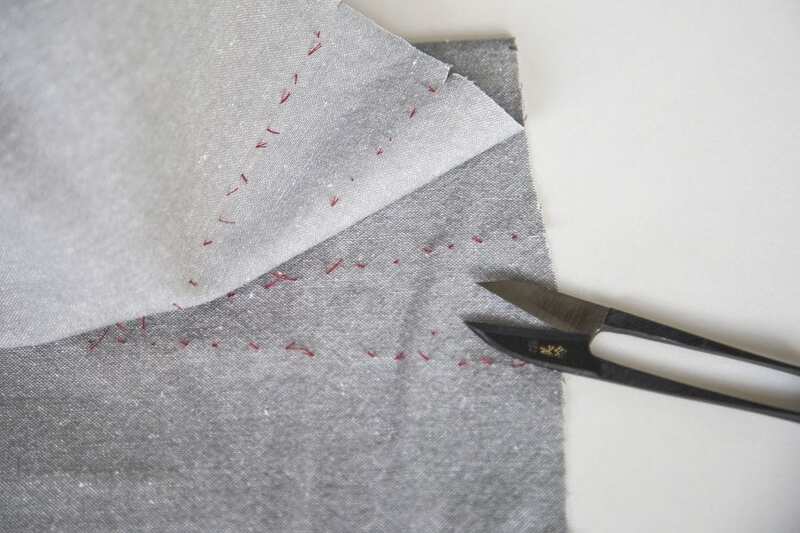 Try experimenting with sewing curved darts during the muslin stage to see if they give a better fit. As a rule of thumb, press vertical darts towards either center front or center back and press horizontal darts (such as bust darts) downwards. If your dart is bulky due to the choice of fabric, or if it is deep, you may consider trimming or cutting the dart and pressing it open. 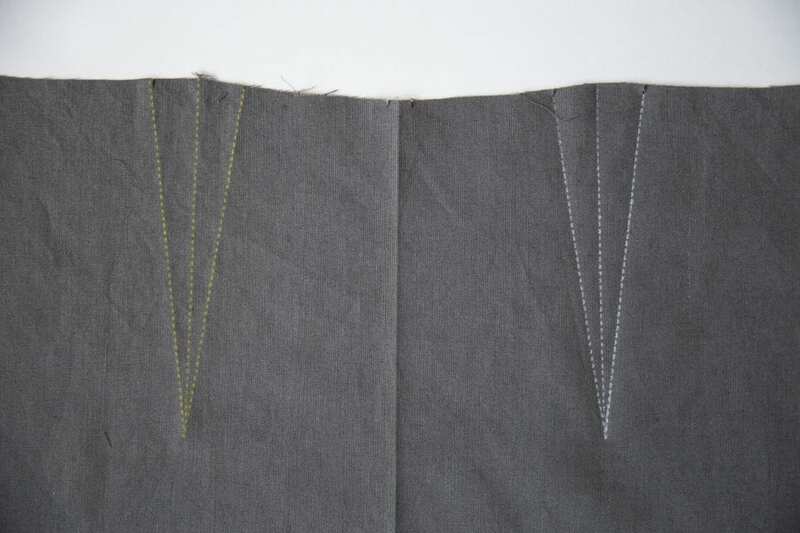 You can also fold the dart open without trimming it, like a box pleat over the stitch line, and press it flat. A narrow, dull knitting needle inserted into the dart will help shape the point of the dart when pressing it open. 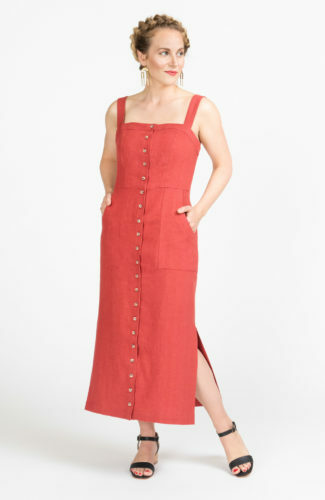 The Fiona Sundress pattern is drafted for light to mid-weight fabrics, so you will be fine pressing the darts to one side instead of pressing them open. 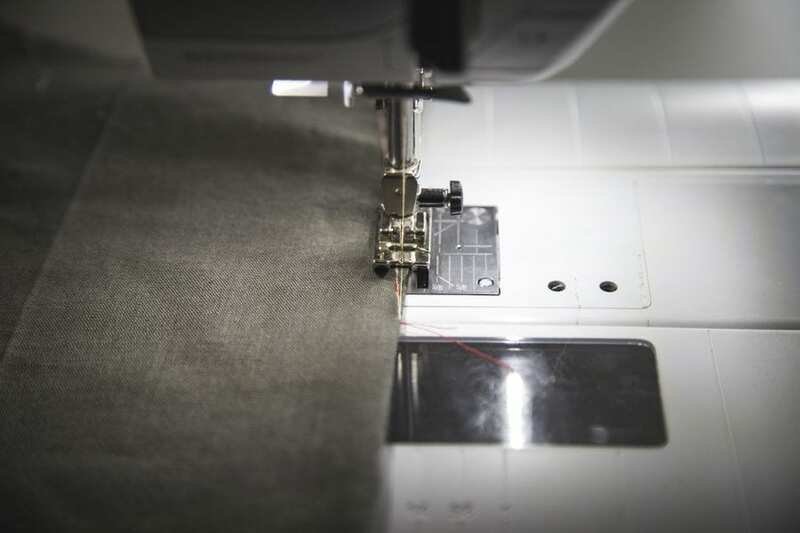 A tailor’s ham or rolled-up towel underneath your work while pressing will help give the fabric its new 3D shape. 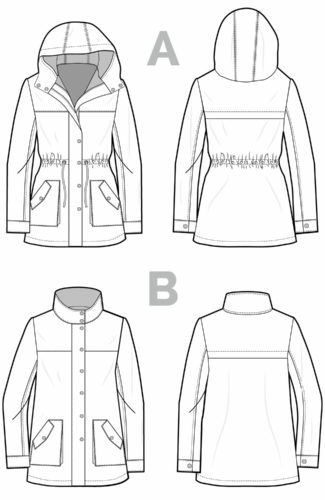 There are usually two sides to a ham: a woollen side meant for delicate fabrics, and a cotton side meant for sturdier fabrics that can stand up to heat. 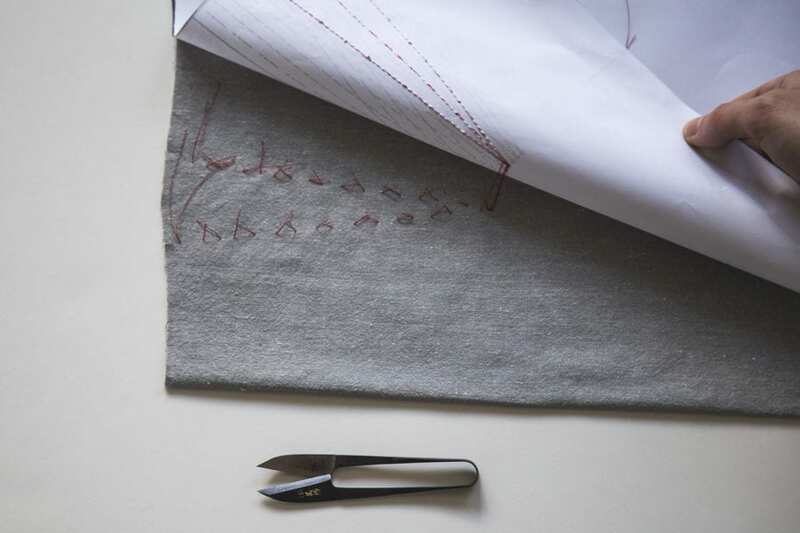 A piece of paper or a press cloth positioned between the folded dart and the fabric will help prevent shine on the fabric from the heat of the iron. With the wrong side of the fabric facing up, press the dart in the intended direction. Avoid pressing past the dart apex to prevent creasing the fabric below this point. 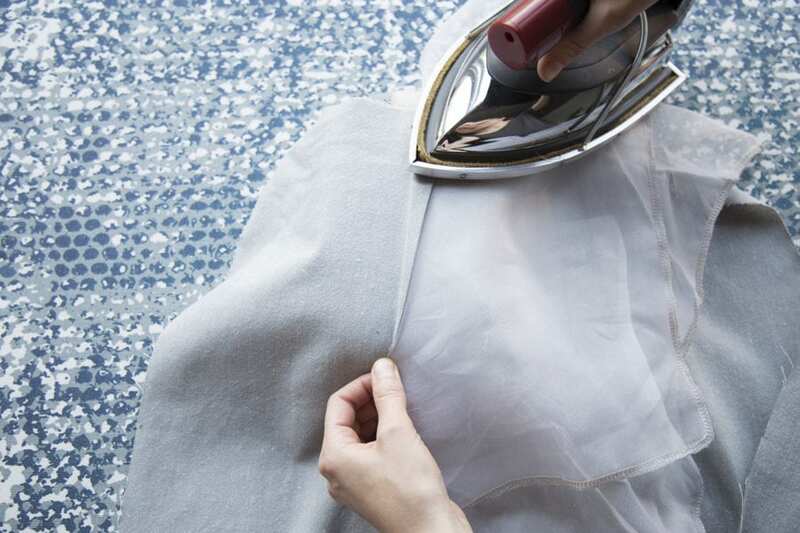 It can be tricky to remove these creases after the dart has been set with the heat from your iron. And that’s it! If you have any other special dart tricks up your sleeve, we would love to hear about them!